7 Fascinating Free Kindle History Books for Thursday! 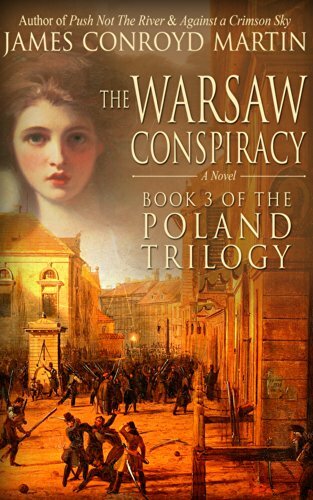 ***(Free For Kindle Unlimited) The Warsaw Conspiracy (The Poland Trilogy) (Deal, Not Free) by James Conroyd Martin. Price: $2.99. 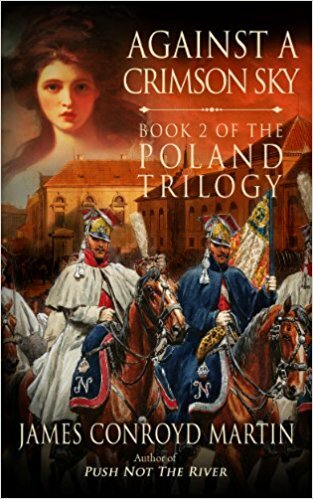 Genre: Biographical Fiction Deal, Sponsor, History, Napoleonic era, 1790s Poland, Poland and Russia. Rated: 4.7 stars on 154 Reviews. 510 pages. ASIN: B00AQ6PCZ6. ***(Free For Kindle Unlimited) Against a Crimson Sky (The Poland Trilogy Book 2) (Deal, Not Free) by James Conroyd Martin. Price: $2.99. Genre: Biographical Fiction Deal, Sponsor, History, Napoleonic era, 1790s Poland, Poland and Russia. Rated: 4.5 stars on 172 Reviews. 458 pages. ASIN: B00JY0FWOQ. *(Free For Kindle Unlimited) World War Two, How the World Changed Forever (Deal, Not Free) by Steven Vern. Price: $1.99. Genre: World War Two History Book Deal, Sponsor, How the World Changed Forever. Rated: 5 stars on 1 Reviews. 96 pages. ASIN: B06VV9N2L7. *World War One, How the World Changed Forever (I Want To Know Now!) (Deal, Not Free) by Steven Vern. Price: $0.99. Genre: World War One History Book Deal, Sponsor, How the World Changed Forever. Rated: 5 stars on 1 Reviews. 97 pages. ASIN: B013VPCZUI. *Charlotte in Love: The Courtship and Marriage of Charlotte Brontë (Deal, Not Free) by Brian Wilks. Price: $0.99. Genre: Nonfiction Book Deal, Sponsor, Biographies & Memoirs, History. Rated: 4 stars on 6 Reviews. 233 pages. ASIN: B015OSYX4G. ***Push Not the River (The Poland Trilogy Book 1) by James Conroyd Martin. Price: Free. Genre: Biographical Fiction, Sponsor, History, Napoleonic era, 1790s Poland, Poland and Russia. Rated: 4.4 stars on 448 Reviews. 556 pages. ASIN: B00IKXBG66. *806; His Name Was Walter. by Margaret Ann Hoffman Bonnie Sue Gordon, Margaret Ann Shoenberger Hoffman. Price: Free. Genre: Biographies & Memoirs, Historical. Rated: 5 stars on 5 Reviews. 128 pages. ASIN: B01NBBXV5Q. Posted on March 30, 2017 Author KibetCategories Free Kindle History Books, HIstorical, Historical Fiction, HIstory, Military, WarLeave a comment on 7 Fascinating Free Kindle History Books for Thursday! 8 Amazing Free Kindle History Books for Wednesday! *(Free For Kindle Unlimited) World War Two, How the World Changed Forever (Deal, Not Free) by Steven Vern. Price: $2.99. Genre: Nonfiction Book Deal, Sponsor, History, World War II. Rated: 5 stars on 1 Reviews. 96 pages. ASIN: B06VV9N2L7. *World War One, How the World Changed Forever (I Want To Know Now!) (Deal, Not Free) by Steven Vern. Price: $0.99. Genre: Nonfiction Book Deal, Sponsor, History, World War I. Rated: 5 stars on 1 Reviews. 97 pages. ASIN: B013VPCZUI. *Sugar, Stamps & Tea: The Objects That Made America (Bite Sized History Book 1). by Marty Griffin, Lauren Tokarewich. Price: Free. Genre: Biographies & Memoirs, Historical, Military & Wars, American Revolution, History, Americas. Rated: 4.9 stars on 11 Reviews. ASIN: B06XV9YP1D. Queen Victoria: The Queen Who Ruled An Entire Empire. by Patrick Auerbach. Price: Free. Genre: History, Europe, Great Britain. Rated: 4.4 stars on 5 Reviews. 59 pages. ASIN: B06XG21QHG. Posted on March 30, 2017 Author KibetCategories HIstorical, Historical Fiction, HIstory, Military, WarLeave a comment on 8 Amazing Free Kindle History Books for Wednesday! 9 Excellent Free Kindle History Books for Tuesday! ***(Free For Kindle Unlimited) Against a Crimson Sky (The Poland Trilogy Book 2) (Deal, Not Free) by James Conroyd Martin. Price: $2.99. Genre: Biographical Fiction Deal, Sponsor, History. Rated: 4.5 stars on 172 Reviews. 458 pages. ASIN: B00JY0FWOQ. ***(Free For Kindle Unlimited) The Warsaw Conspiracy (The Poland Trilogy) (Deal, Not Free) by James Conroyd Martin. Price: $2.99. Genre: Biographical Fiction Deal, Sponsor, History. Rated: 4.7 stars on 154 Reviews. 510 pages. ASIN: B00AQ6PCZ6. *(Free For Kindle Unlimited) World War Two, How the World Changed Forever (Deal, Not Free) by Steven Vern. Price: $1.99. Genre: Nonfiction Book Deal, Sponsor, History, World War II. Rated: 5 stars on 1 Reviews. 96 pages. ASIN: B06VV9N2L7. ***Push Not the River (The Poland Trilogy Book 1) by James Conroyd Martin. Price: Free. Genre: Biographical Fiction, Sponsor, History. Rated: 4.4 stars on 448 Reviews. 556 pages. ASIN: B00IKXBG66. *Mythology: The Ancient Secrets of the Greeks, Egyptians, Vikings, and the Norse (Mythology, Gods, Myths, and Legends). by Martin R. Phillips. Price: Free. Genre: History, World, Civilization & Culture. Rated: 4.6 stars on 22 Reviews. 171 pages. ASIN: B0106N0W0I. *Defensive Shield: An Israeli Special Forces Commander on the front line of counterterrorism. by Gal Hirsch. Price: Free. Genre: Biographies & Memoirs, Leaders & Notable People, Military, History, Intelligence & Espionage. Rated: 4.5 stars on 13 Reviews. 450 pages. ASIN: B01IMG42NO. Egyptian Mythology: A Guide to Ancient Egyptian Religion, Beliefs, and History. by Dustin Yarc. Price: Free. Genre: History, Ancient Civilizations, Egypt. Rated: 4.7 stars on 5 Reviews. ASIN: B06XSBT13X. Posted on March 29, 2017 Author KibetCategories Free Kindle History Books, HIstorical, Historical Fiction, HIstory, WarLeave a comment on 9 Excellent Free Kindle History Books for Tuesday!